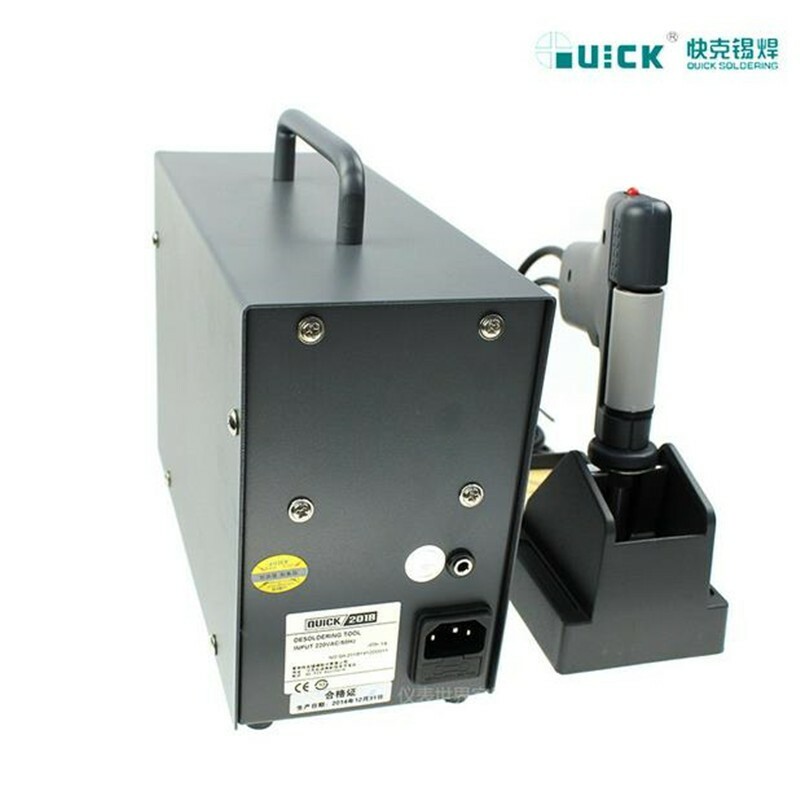 Quick 201B ESD Desoldering Tool Station with 90 W heating power, temperature range from 200°C to 450°C. 201B Resoldering Vacuum Pump built-in unique vacuum pump, the suction is more strong. The antistatic design, prevent damage to the PCB for electrostatic and leakage. The built-in unique vacuum pump, the suction is more strong. 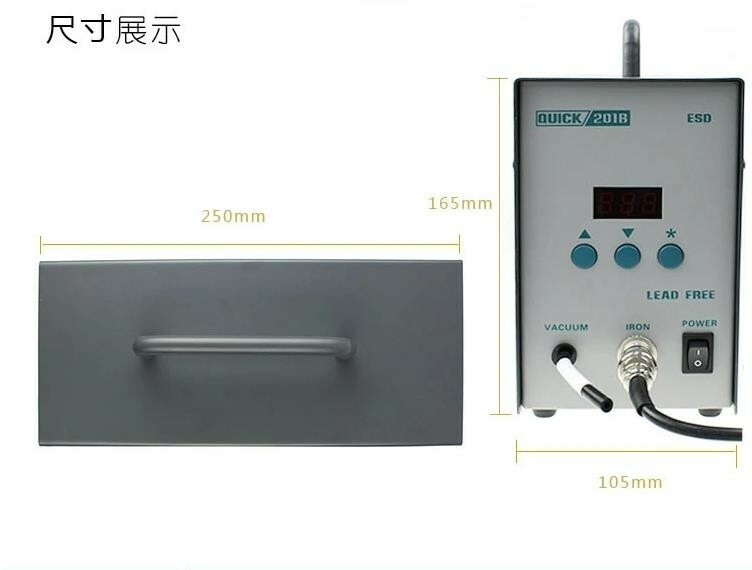 The heating temperature closed loop control system USES sensors, temperature accurately. LED digital display, button type thermal control, and can choose auto sleep function. Using digital temperature calibration, improve reliability. The hot vacuum hose, to prevent contact with hot parts damaged. can achieve real lead-free low temperature desoldering.